Houdini’s Makes the List of the Top Fun Things to Do in Cincinnati! 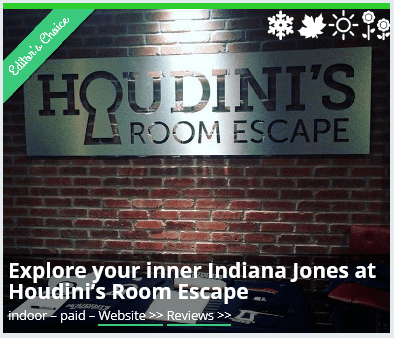 Houndini’s Room Escape has been chosen as one of the Top Fun Things to Do in Cincinnati by FunThingsToDo. Check out our listing along with all the other local winners by clicking below.